This time of light is a time of rejuvenation, of recharging your batteries. The Christmas Day is done, the year is coming to an end; family and friends are all gone or prepping to go. Take advantage of this time, and have your own personal, private celebration of life….connect with the spirit and enjoy the quiet moments that you can achieve in the next couple of days. Take time to celebrate and rejoice in uplifting your spirit. Acknowledge your diligence and give yourself credit and appreciation for all that you have accomplished. Stop and smell the roses. Stop to appreciate the beauty and majesty that is present in your lives. Focus on what you are creating, not what is crumbling. Remember: neutral compassion, this is especially important for what is in your personal experience. Witness and bless. All the angels join with you in celebrations of light at this time, it is by this light that you are united, and by this light that you have created all that is on its way to you. What a glorious time to rejoice in all that is good and all that is true. Don’t give up – for while it appears that you are on a solitary path, you are supported by reams of fellow beings of light on all around you. If you do nothing else at this time of celebration, remember the unseen party that is going on everywhere! Before the New Year begins, is the time to Take Action! 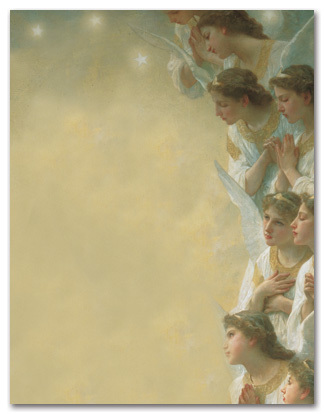 The Angels are here now … just for YOU!